Whether at work, at home, among your friends or anywhere else, we are all prone to enter into conflicts with others, muslims or non muslims and, in all cases, we should learn from Allah Subhannahu wa ta’ala and His messenger, salallahu alayhi wa salaam, what is expected of us as believers. Indeed, in disputes, a muslim is to make Allah and His messenger the judge. It should not be ‘how do I feel like doing such and such, but rather what do Allah and His messenger, salallahu alayhi wa salaam, say about how I should behave towards those I disagree with’. With that in mind, here are a few lessons from Qur’an and Sunnah that we can implement when trying to resolve conflicts in the workplace. Whenever a conflict arises, the first thing we need to do is to wear our ‘patience’ hat. Having a lot of patience when confronting someone goes a long way in quickly resolving the conflict and keeping it under control. Indeed by being patient, we are able to make a better judgement of the situation in order to resolve it. By being patient, we are also ensuring the blessings of Allah Subhannahu wa ta’ala in whatever situation we find ourselves. Indeed, Allah Subhannahu wa ta’ala promises us that He is with the patient. A believer realizes that nothing is made easy without the assistance of the Almighty Allah Subhannahu wa ta’ala. Therefore, the believer makes sure to always seek the help of His creator through prayer and supplication. Dua (supplication) is the best weapon of a believer and as such, it brings success to whatever we undertake. 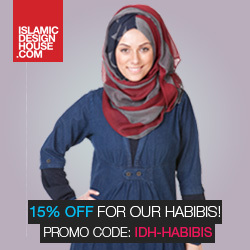 In disputes, we should immediately make dua to Allah to help us make the best of the situation. 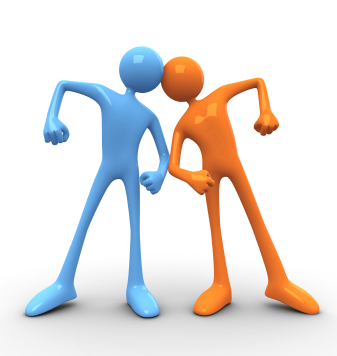 Conflicts at work are often caused by too much ego. Coworkers, who cannot put their ego aside and who are more interested in seeing their ideas being selected and praised by any means necessary, cannot be objective and will usually hurt the progress of a team. The focus should be put on the productivity of the team, not on ‘who is right or wrong’. Ego is exactly what caused enmity between Shaytan and mankind. Shaytan along with the Angels were commanded to bow to Adam and everyone did as commanded except Shaytan. Shaytan refused to be a team player because he felt he was better than Adam. His ego caused him his place in heaven. We should learn from Shaytan’s mistake and make sure that our ego is not causing us to hurt our productivity and team spirit at work. Indeed, if we do not control our ego, we risk earning the displeasure of our coworkers and this may even lead to us losing our job. The above ayah always reminds me of the teaching of our beloved prophet, salallahu alayhi wa salaam, who also told us to ‘say good or remain silent’ (1). Working with others often places us in situations where we may not see eye to eye with someone on a project. 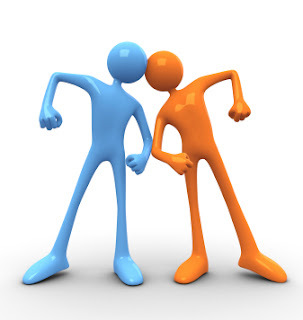 Knowing how to voice our criticism will help a lot in avoiding conflicts. If we remember to say what we think in the best and kindest manner possible while at the same time remaining silent on aspects that might make the situation worse and displease our Creator, we would be able to avoid conflicts or at least keep them to a minimum. Stay tuned for Part 2 of this topic inshaAllah.